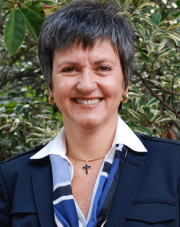 Dr. Daniela Rodrigues Silva is the Dr. Thomas K. Barber Endowed Term Chair, the Director of the Pediatric Residency Program, an Associate Clinical Professor in Pediatric Dentistry and the Chair of the Section of Pediatric Dentistry. 2008 – Finalist - American Academy of Pediatric Dentistry Foundation Research Award. 2005 – Finalist – American Academy of Pediatric Dentistry Foundation Research Award. 1. Guelmann M, Shapira J, Silva, DR, Fulks A. “Esthetic Restorative Options for Pulpotomized Primary Molars: A Review of the Literature”. Journal of Clinical Pediatric Dentistry 2011, 36(2):123-126. 3. Silva, DR and Da Fonseca, M. Self-injurious behavior as a challenge for the dental practice: a case report. Pediatric Dentistry 2003, 25(1): 62-67.